Hello everyone, welcome back! A big congrats to Karla for winning last week’s Starbucks giveaway! It’s so much fun for me to celebrate The Sol Compass’ third birthday with all of you! This next giveaway is the product of a great need I have, and B’s unwavering patience. 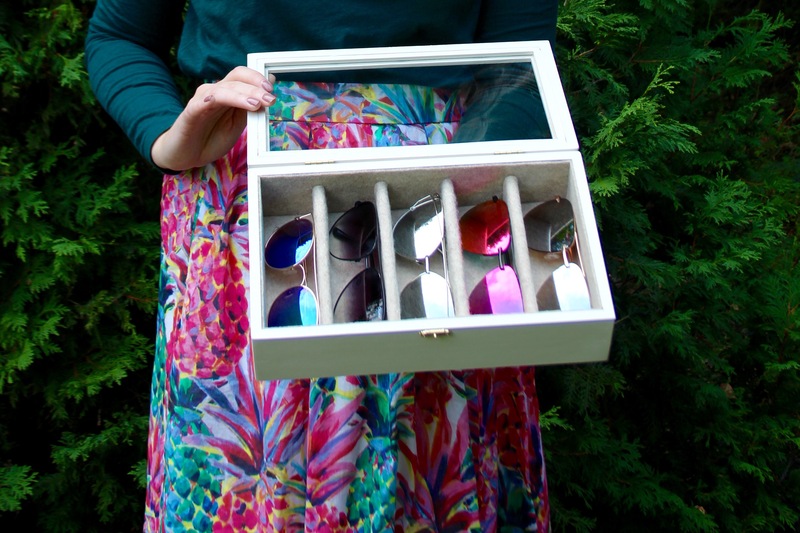 My sister and I have been hoarding sunglasses in troves over the past two years, and we were recently brainstorming ways we could store them safely and functionally. 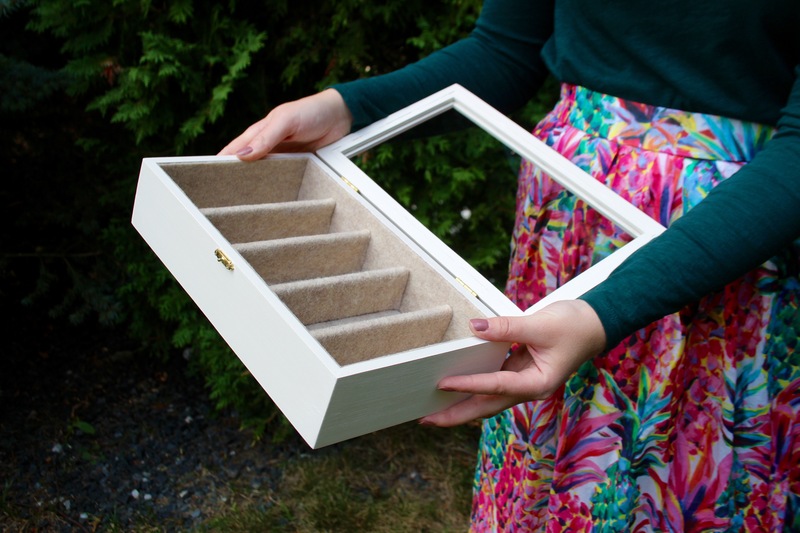 Luckily for us, B stepped up to the plate and tried his hand at creating a storage box for us, and the result was this beautiful handmade wooden box with a felt lining, to protect those lenses. 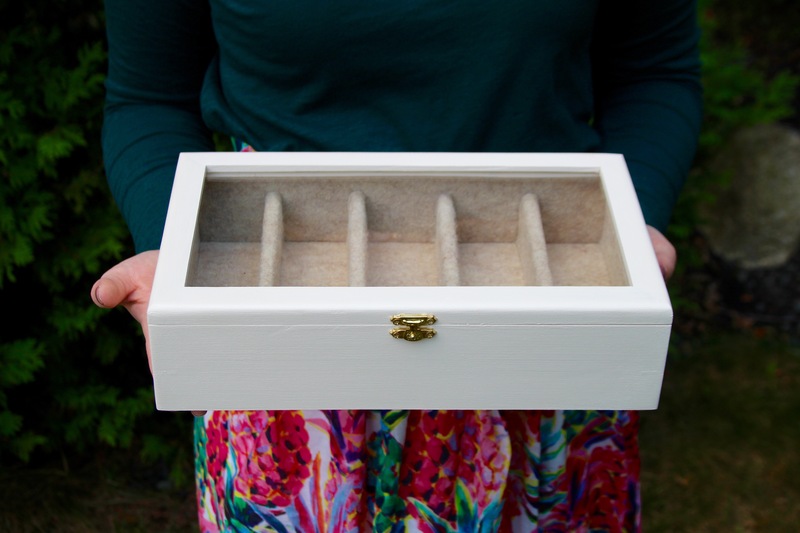 It’s one of the first items Bryan made for the Etsy shop he’s starting and today, I’m giving one away to you! (Sunglasses not included, sorry ladies). 1) Follow @thesolcompass on Instagram! 2) Follow @thinkwoodthoughts on Instagram! 3) Leave a comment on this blog post when you’ve done both to officially enter! The giveaway will end on Sunday at Midnight EST, so enter fast! Thanks for stopping by and for always supporting The Sol Compass! I’ve done both. What a neat idea! 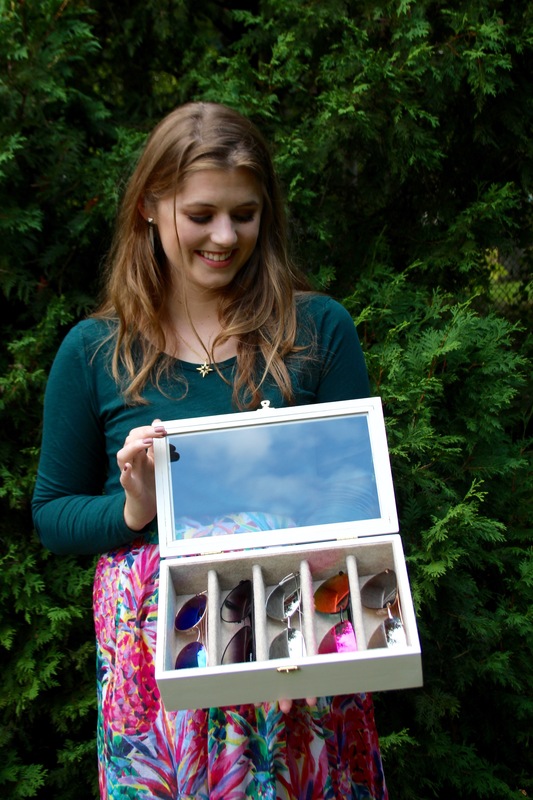 I have sunglasses all over, but hadn’t heard of this type of storage solution before.